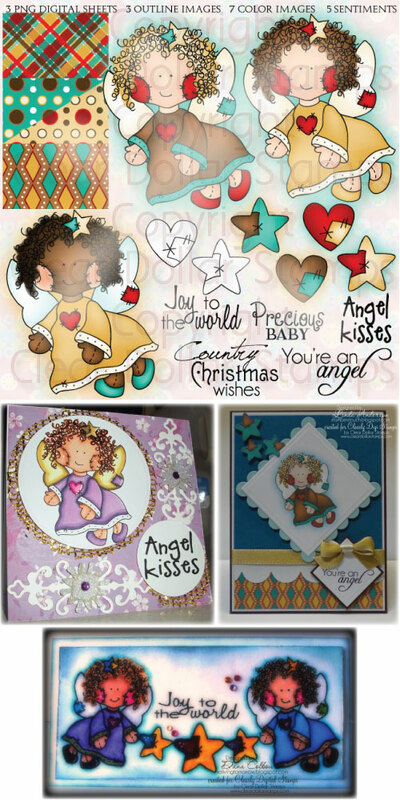 Clearly iStamp: December Digi Day at CDS! December Digi Day at CDS! 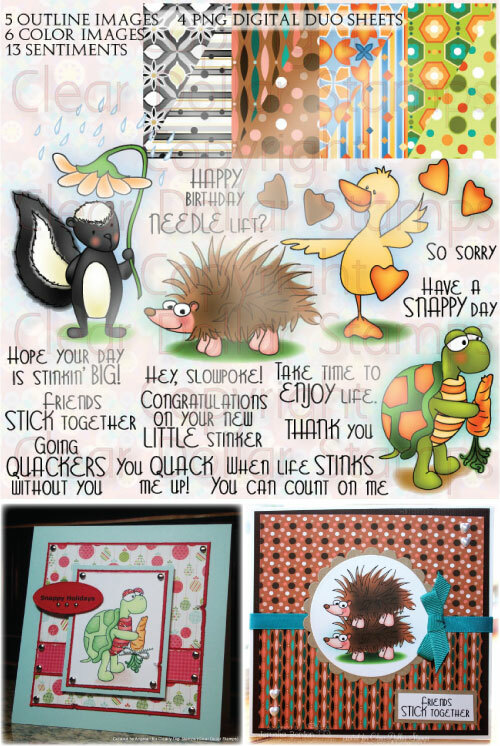 It is Digi Day at Clearly Digi Stamps today! You are going to love what the girls have come up with, so let's get started! Are you new to digis? Well, if you are, here is a quick explanation. You will buy and download a "zipped up" file. You will unzip this file and receive all the images in jpg and png formats. You will then pull those into a Word doc or picture editor and print, print, print. Here is a little tutorial and FREE digi that will help you along! This set is sure to get your creative juices brewin! Lisa has designed this set in a rainbow of colors with matching papers, something that will definitely get my creative juices flowing! I am one of those people who shop by color, so I find this set to be really tasty! Designed by Lisa Lara. Copyright Lisa's Doodley Doos. Licensed by CDS. This adorable little set is perfect for birthdays, anniversaries, Valentine's Day, and just a card to say hello! I personally love penguins, so I may have to have a little desk notepad made with these little guys! Designed by Lisa Lara. Copyright Lisa's Doodley Doos. Licensed by Clear Dollar Stamps. Everyone needs birthday cards, birthday calendars, birthday gift wrap, birthday gift bags....so this is the set for everyone! Complete with FOUR papers for you to print and create with, you are going to have fun with this set! Designed by Laurie Wilson. Copyright Clear Dollar Stamps. This set is perfect for young and old alike! Covering birthdays to baby showers, this is a must have for your collection! These little angels are just heavenly to work with! Ornaments, baby rooms, and so much more! Colorized by Laurie Wilson. Illustrated by past CDS illustrator. Copyright Clear Dollar Stamps. Austin has been doodling up a storm this month! My favorite has to be the bride and groom dogs! We just got a little boy Sheltie to marry our girl Sheltie....so I can see this coming in a scrapbook page! Designed by Austin Owens. Copyright Austie Bost Stamps. Licensed by CDS. Now I know there are a number of you out there that have princesses that need scraped! I know that princess rooms need decorated! I know that princesses need birthday cards! So you are all set with Austin's adorable little princess set! what about jewelry! Grab some of those little glass pendants, insert one of our printed digi flowers and you have a work of the heart! Thank you so much for spending a little time with us today! I hope that our digis and samples have inpired you to some level of creativity today! Please leave a comment for our illustrators and Design Team to let them know what you think of their creations! Hope your day is filled with blessings and crafting galore! I think I downloaded more of everyone else's digis more this month than I have any other month! They were all so cute!